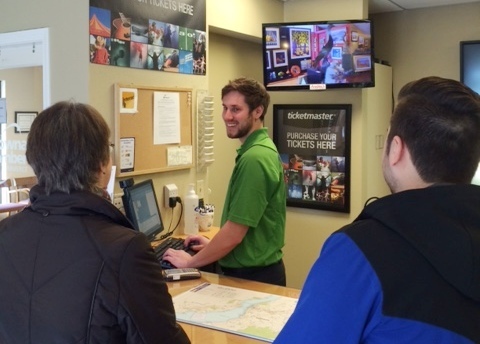 Taylor Jones of the Kelowna Visitor Centre assists customers with their ticket purchases. As of Monday February 23, the Tourism Kelowna Visitor Centre is selling tickets for the Actors Studio & Dinner Theatre, Ballet Kelowna, and Okanagan Symphony Orchestra events, all while continuing to sell and print tickets for Ticketmaster events across Canada and parts of the United States. The addition of this ticketing service comes just in time as the Actors Studio Box Office on Ellis St. undergoes a rebrand and change of location. The Actors Studio announced today that their box office will be moving to Orchard Park Shopping Centre as of Friday February 27 at 10 a.m. and will be called Kelowna Tickets: Box Office & Concierge. Tourism Kelowna decided to enter the world of ticket sales in 2013 when our Visitor Centre became a Ticketmaster Retail Outlet in order to provide an additional service to visitors and locals alike. With the addition of the Kelowna Tickets program, Visitor Centre staff are looking forward to seeing increased traffic into the Visitor Centre. 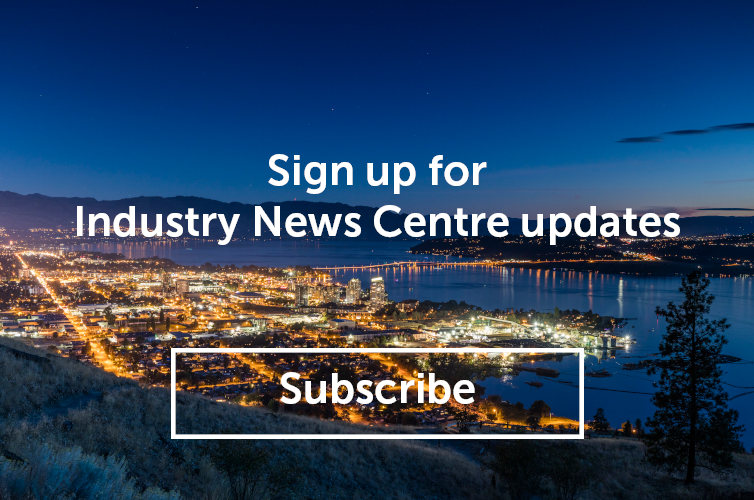 Offering ticket sales benefits Tourism Kelowna and its stakeholders on several levels. With traffic coming into the Visitor Centre specifically looking for tickets, staff are given the opportunity to promote events, activities, dinning, and accommodations in Kelowna, Lake Country, West Kelowna and beyond. This also works in the opposite direction, as Visitors enter the centre looking for things to do, staff now have the option to complete the sale when suggesting local events and performances. Just last week, over 40 people from Kelowna and other parts of the Okanagan Valley lined up outside the Visitor Centre for Ticketmaster’s release of ACDC tickets. This is the largest sale line up the Kelowna Visitor Centre has seen for Ticketmaster since becoming the Ticketmaster Retail Outlet in October 2013. While waiting to buy tickets many consumers were browsing through the visitor centre, picking up a copy of the 2015 Official Kelowna Visitors Guide and many other brochures and rack cards along the way.